William M. Sleet, 57, past away Sunday, March 31, 2019. He was born September 28, 1961 in Lexington, Kentucky to the late Gary Wilson and Patricia Sleet. 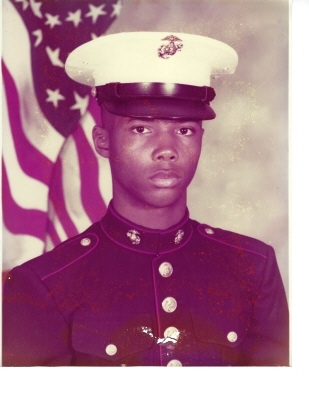 He accepted Christ at an early age, proudly served in the US Marine Corp and retired from Trane. He leaves to cherish in his memory his mother Patricia; his children, Courtney (Jeremiah) Warren, Iasia (Brian) Black of Wilmington, NC, Ashlee Sleet of Denver, CO, Branden Sleet and Christian Sleet. Three grandchildren Quamaal and Alixandria Black of Wilmington, NC, and Jeramiah Warren (J2) Jr. Siblings Eutonya Sleet, Demetric Wilson, Mark Ajamu of Romulus, MI, Candice Wilson of North Carolina, Joyce (Ronald) Collins, Marchelle (Robert) Cowan, Darion Turner of Atlanta, GA and Donte Johnson of Detroit, MI. His aunts Mattie Robinson, Amy Sleet, Nan Allen, Elaine Wilson, Franceen (John) Drake. His uncles Marvin (Delphine) Wilson and his beloved Uncle James (Michele) Sleet. A host of nieces, nephews, cousins and friends including special friends, Eunice Shearer, Naomi Johnson, Danita Taylor-Smith and Ruby (the late Bernic) Harris family. Visitation will be held 10:30 AM-12:30 PM, Monday, April 8, 2019 at Clark Legacy Center, Brannon Crossing with a service to follow at 12:30 PM. Rev. Doyle Warren will be officiating. Burial will take place at 2:30 PM, April 8, 2019 at Camp Nelson National Cemetery. Reception will follow until 5 PM at Clark Legacy Center, Brannon Crossing. "Email Address" would like to share the life celebration of William Marshall Sleet. Click on the "link" to go to share a favorite memory or leave a condolence message for the family.